I hope you ladies are enjoying the monsoons. I am in a land where rain seems to a non existent concept. All I can do is stare at the awesome offers and sigh. With the monsoon blues hitting you very often, you might want to be dwelling in the seasonal changes that keep you rejuvenated every now and then. It’s okay if you forget to take care of your health and body for quite some time. But you dare to forget the whole season? The answer is a perfect NO, as you know you need to take extra care of your skin, hair and health. As you can find noticeable changes in weather, taking formidable steps would decrease your efforts as the season continues - and this is where The Nature's Co. steps in to help you! 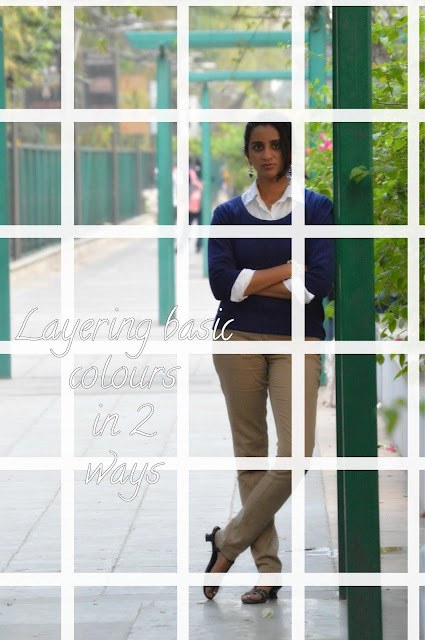 Now as the monsoons are in full swing, it is crucial to alter your beauty care regime. We share a complete guide on how to take care of your skin, hair, hands and feet with this July special "It's raining beaut!" Beauty Wish Box. With the changing weather, you also have to change your skin care routine. The damp and humid weather takes a toll on your skin — no matter what your skin type is. Pollution, dirt, grime and the harmful UV rays of the sun are the main reasons why your skin is prone to damage during the rainy season. It is these six* natural beauty products articulately shortlisted by TNC Experts which will replace your skin care regime this season to make you glow midst the dark gloomy clouds. This special care is offered at a cost of Rs. 595/- only with complimentary goodies, comes in an attractive reusable packaging and with the convenience of cash on delivery option once you order. Our experts share “It is extremely important to take care of your skin during the rains. 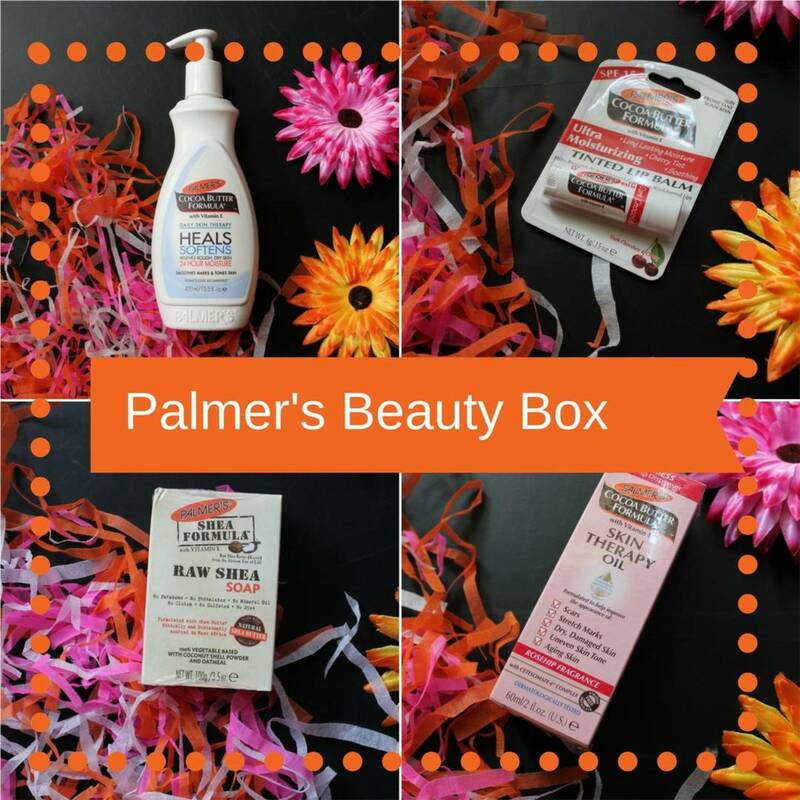 Even though the temperature is cooler, a whole new set of problems —greasy skin, flaky itching skin and acne arecommon at this time.” So banish all your wet season woes and subscribe now for the July Box at http://bit.ly/1t243wj. *Six products include One Full Size Product and Five Deluxe Sample Sized Products. 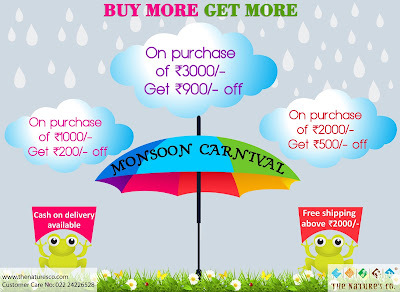 2) The Nature's Co. - Monsoon Carnival with "Buy More and Get More"
Yes it is finally raining and pouring! And so are the discounts at The Nature's Co. as they announce their Monsoon Carnival with a whooping "Buy More Get More" offer. 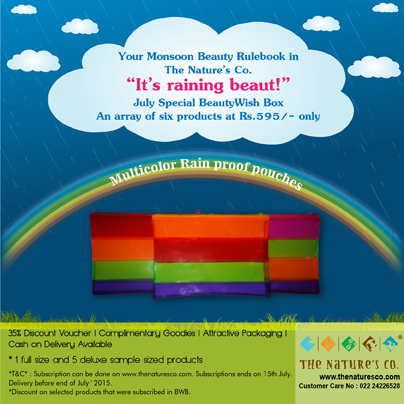 This irresistible deal provides all you beauty addicts to indulge in your favourite monsoon beauty must-haves with a straight Rs. 200 slash on purchase of Rs. 1000, Rs. 500 off on products worth Rs. 2000 and Rs. 900 flat discount on purchase of products worth Rs. 3000 and above. Now not only was your summer vacation time, but also these monsoons make a good time for all you beautiful people to buckle up and set out on a shopping spree with your exhaustive beauty shopping lists without actually needing to face the cons of this weather outside! This offer is exclusively available for The Nature's Co. Online Shoppers by simply clicking onwww.thenaturesco.com, all through out this season. And this is not just it, it gets better as you can avail free shipping of your orders of Rs. 2000 and above. Truly unbelievable as you save more while you spend more instead of burning a hole in your pockets. So as The Nature's Co. has rightly added the silver lining to this season's grey clouds - Make most of it and shop till you drop before it's too late! For all those on the move or feeding their wander lust - a splendid must-have of your beauty essentials while you travel. 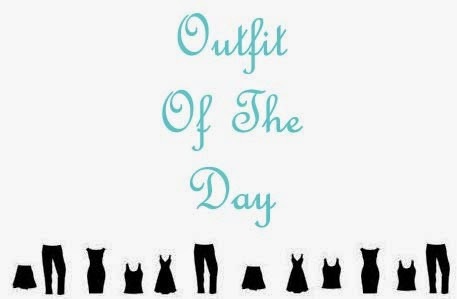 All this in a light weighted, compact, trendy and chic pouch - to also keep you in vogue. 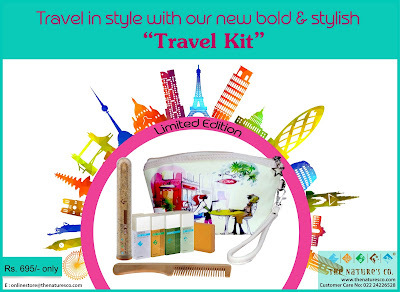 So here ladies, be fashionably beauty equipped while you travel care-free!